My laboratory focuses on how our blood and immune systems are carefully maintained by the action of proteins called cytokines. These are molecular messengers that instruct blood cells to grow and develop in the right way. When this signalling goes awry it can lead to diseases such as leukaemia. Our research aims to understand cytokine signalling at a molecular level. We study the three-dimensional structures of molecules involved in this process. 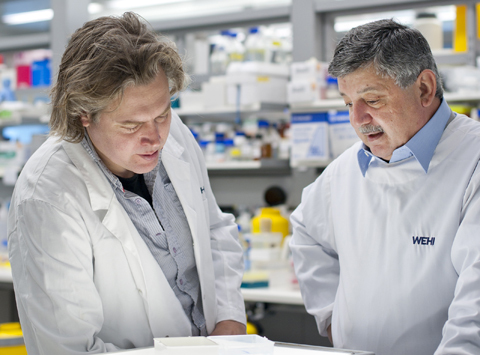 Our goal is to develop new treatments for diseases involving faulty cytokine signalling. We are interested in how cytokines such as interleukin-6 help orchestrate development of the haematapoietic system. Cytokines control blood cell differentiation by acting as inter-cellular messengers. However their action needs to be tightly controlled in order to prevent proliferative diseases such as leukemia. The proteins responsible for this control include the SOCS (suppressors of cytokine signaling) family. We are interested in understanding the action of the SOCS proteins and other inhibitory molecules at a molecular level. New treatments on the horizon? 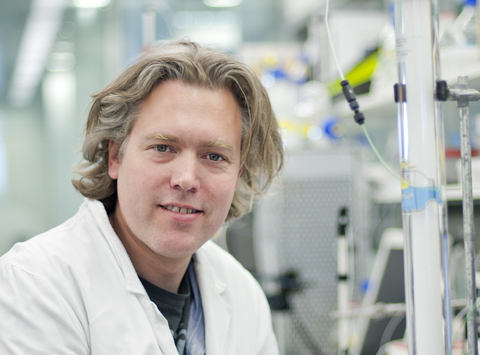 Structural biologist Dr Jeff Babon was the 2012 Burnet Prize recipient.